The summit featured highly-lauded keynote speaker Allison Kluger and networking opportunities in one of NYC’s premier rooftop cocktail lounges. The Expert Network©, an invitation-only brand and reputation management company for leading professionals, hosted its second annual summit earlier this month at The Skylark cocktail lounge in Manhattan. 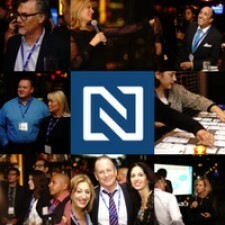 Open exclusively to Expert Network members, the summit was a unique opportunity for top-rated professionals to learn about branding and reputation management from one of the world’s leading experts on the subject. It also offered members the chance to brush shoulders with other highly distinguished colleagues and peers within and across industries. Founded in 2015, the Expert Network has brought together a community of over 2,000 leaders in the medical, legal, real estate, wealth management, and mortgage industries, helping them to both cultivate compelling digital identities and connect with each other in the real world. In addition to offering services that help professionals expand their online brand and reputation—from creating engaging content and improving SEO to building state-of-the-art websites—the company also hosts networking events and seminars throughout the year. The evening was centered around keynote speaker Allison D. Kluger, the Dorothy J. King Lecturer in Leadership at Stanford’s Graduate School of Business. She gave a lecture discussing the importance of online reputation, as well as reputation in general, and how it impacts a professional’s career, relationships, work opportunities, and long-term prospects. The Expert Network© is an invitation-only online brand and reputation management company for top-rated professionals in the medical, legal, financial services, and real estate industries. The Expert Network works directly with its handpicked members to help them establish and enhance their online identity through a broad range of services, including content marketing, website design and hosting, social media management, and in-person networking opportunities.